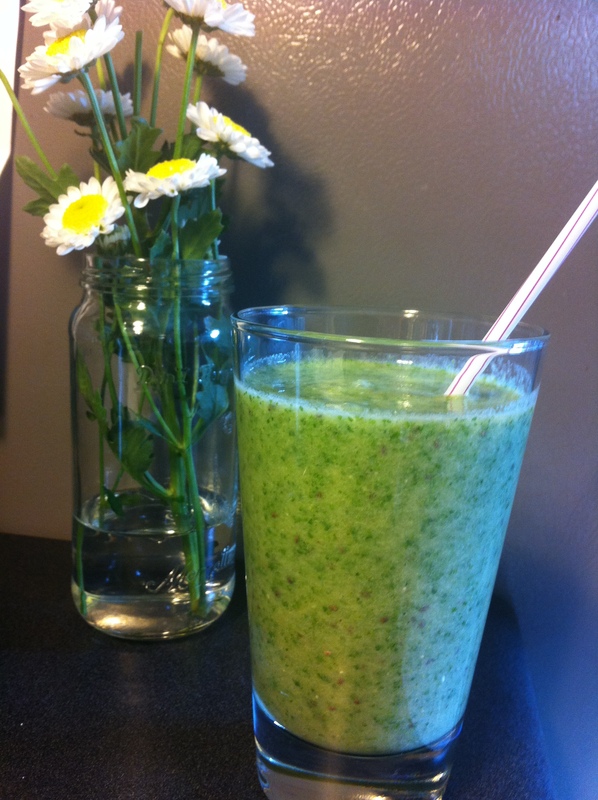 Thanks to the Conscious Cleanse, I’ve started enjoying green smoothies most every day for breakfast and am a huge fan. Unfortunately, our Kalorik blender — though lovely and fine at more low-key blending jobs — wasn’t quite as thrilled about this new routine, and it wasn’t able to stand up to the almost daily task of blending frozen fruit and greens. Timing was perfect, though, because my mom had just asked what I wanted for my birthday and I had just the thing: a Ninja blender! I’d heard amazing things about these machines (both from friends as well as online reviewers), and so far mine is every bit as good as folks say. 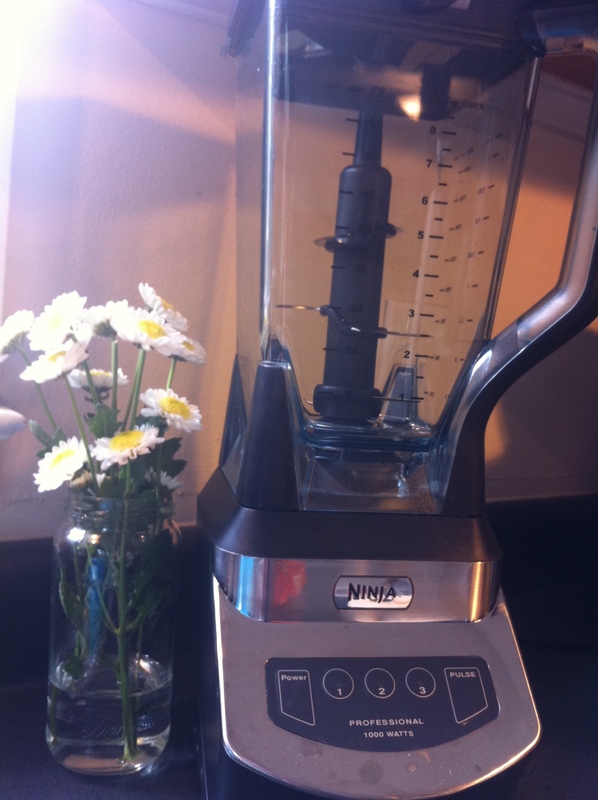 It blends quickly and thoroughly, and stands up to the demands of the frozen fruits I add to every smoothie. This is an appliance that’s saving me both time and sanity. Thanks, Mom and Dad, for the PERFECT addition to our kitchen! In honor of my new Ninja, I thought I’d share a green smoothie recipe that I’ve recently tried for the first time — and that was quickly added to my “favorites” list. Be sure to soak your chia seeds for at least 15 minutes before blending. Blend everything until well pureed and enjoy your green smoothie deliciousness! Any favorite green smoothie combos I should add to my list? Previous Previous post: Personalized Note Cards – A Giveaway! Hey girl! 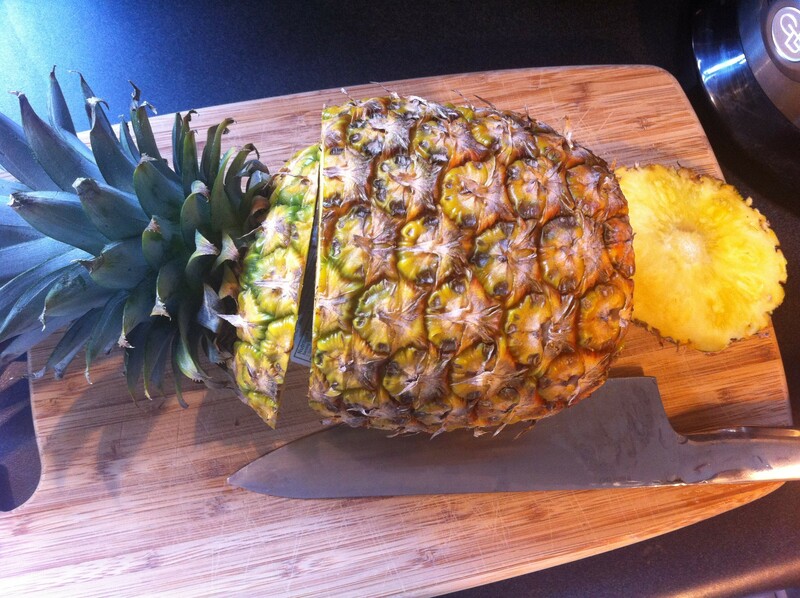 My go-to morning smoothie is this beauty for its high protein, low sugar nutrients. I often add some greens to it too (kale, chard, spinach – whatever I’ve got on hand). I 100% recommend it for a little variety and the avocado is a lower sugar alternative to the banana. http://healthyblenderrecipes.com/recipes/dr_hymans_whole_food_protein_shake Enjoy and have a great weekend!